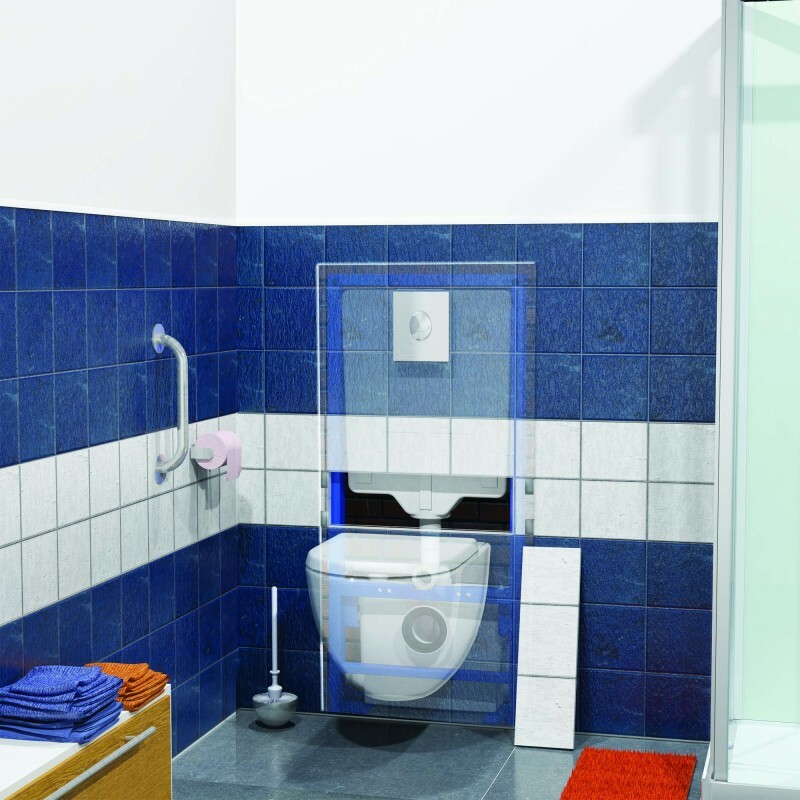 With a built-in frame system designed to accommodate all types of wall-hung WC's (not supplied). Saniwall Pro Up has a dual flush and an integral macerator pump. In addition to taking the waste from a WC there are two side inlets enabling a wash basin, shower and bidet to drain to the macerator. Built-in frame system which can be tiled to match any bathroom décor. The Saniwall Pro Up is a built-in frame system designed to accommodate all types of wall hung WC’s (not included). It has three inlets so it can also take waste from not only a WC but also a basin, shower, bidet and even a power shower. 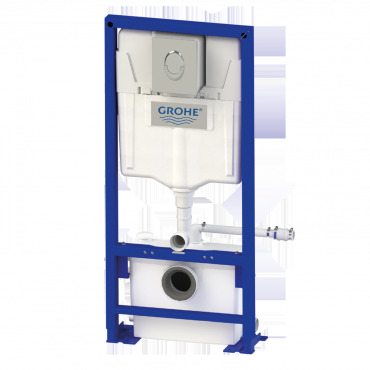 It is designed with Grohe cistern technology and has a quiet motor and integrated dual flush. 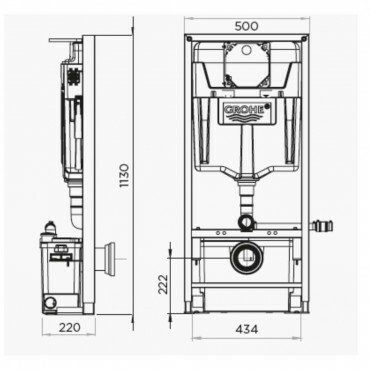 It has easy access to both the tank and electrical connections for maintenance and servicing. 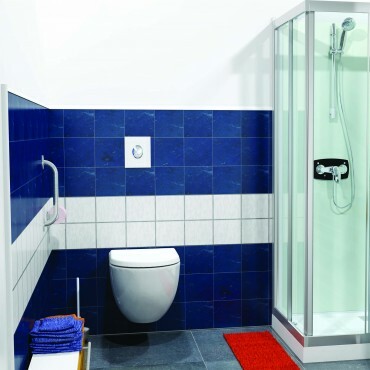 The Saniwall Pro Up tiled version comes with magnetic tabs to create a removable hatch so you can tile the section behind the WC but still gain access for servicing and maintenance. It has adjustable feet to allow for variable heights of pan, the mounting centres for WC pan are 180-230mm. It discharges through 22, 28 or 32 mm pipework. The Saniwall Pro Up comes as standard with a 2 year warranty, however it also has an extended 3 year warranty, by simply completing the warranty product registration.